French authorities are treating the attack at Orly airport as a terrorist incident, and have placed three people in custody. The Paris prosecutor says that the attacker, Ziyed Ben Belgacem, shouted Islamic slogans, before being fatally shot by security staff. "I am here to die for Allah, there will be deaths,” the 39-year-old cried, as he attempted to wrest an assault rifle of a young female air force member on duty at Orly, according to Paris prosecutor Francois Molins, who held a press conference in the French capital on Saturday evening. Molins said that Ben Belgacem, who had a string of theft and drug-related convictions, had been radicalized in prison – a fact that had been noted by the authorities at the time - and was on probation prior to the attack. 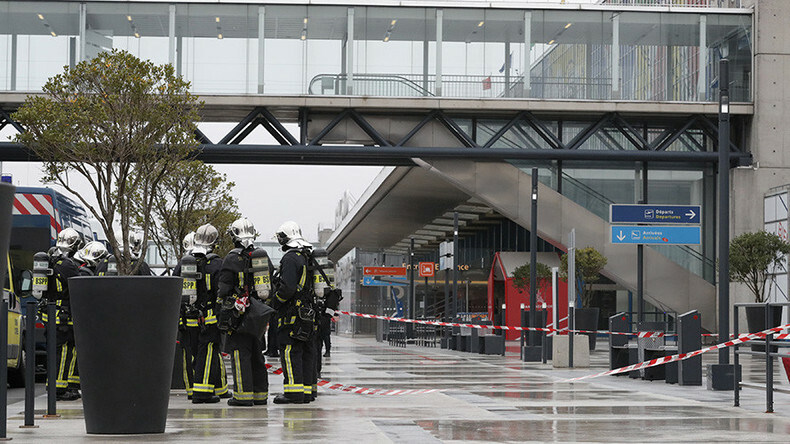 Earlier, French officials revealed that Ben Belgacem, a French citizen, shot and wounded a police officers, who had attempted to stop him at a checkpoint near Le Bourget, another airport near Paris. He also reportedly carjacked a vehicle, before setting off for Orly, one of the country’s busiest transport hubs. Molins said that Ben Belgacem carried a can of petrol into the terminal building, which he flung down before engaging in a violent altercation with the air force patrol staff. Two soldiers then intervened, and fired eight bullets in three bursts at the man, killing him instantly. A Koran was found on his body. The attacker’s brother and father, who had reportedly received messages from him just minutes before his death, have been detained, as is customary during such serious incidents. 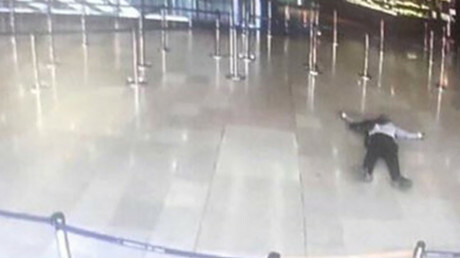 Molins said that a cousin of Ben Belgacem also turned himself in to the police, after the attack, which necessitated the evacuation of a part of Orly airport, and the rerouting of multiple planes to nearby Charles De Gaulle airport. The prosecutor said that Ben Belgacem, who had been born in Paris, had been sentenced to five years for robbery with a weapon, for offenses beginning in 1998, and was given a three and a five-year term for drug trafficking. His house was searched in the aftermath of the Paris attacks in 2015, but he was not placed on the priority File S, reserved for the most dangerous suspects.